Getting the right people in the right jobs to meet current and future business needs. Have you ever met a person you thought was extraordinarily talented, and yet seemed to achieve less than their full potential? Why is it that some people excel beyond others’ expectations, while others never really find success? Employee failure to meet expectations can be the result of organizational culture and neglect. 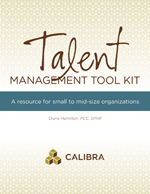 However, organizations can put systems into place to identify talent and recognize potential. Challenging employees and nurturing their strengths can transform even the most ordinary performer into an extraordinary individual. Ensure that employee development meets the future needs of the organization. Invest more development dollars where you will get the highest return. Do not spend your development dollars equally; high potentials, critical positions, and key leaders (current or future) demand differential attention. Provide opportunities for accelerated development to help current and prospective leaders grow in their jobs and their careers—keep the pipeline filled. Put the right people in the right jobs. The right players in the right positions is critical for success. In addition, creating and sustaining your company's employment brand is crucial for recruitment and retention.